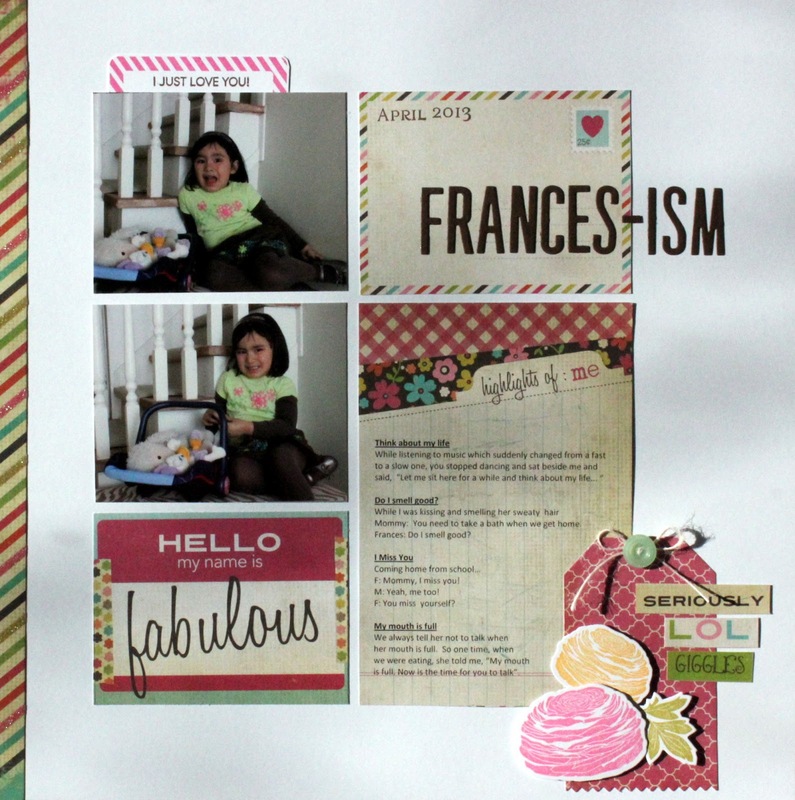 I am back with another instalment of Frances-ism, a documentation of the silly things my daughter says and the funny stuff she does. If you missed the last ones, you can find them here and here. I used Papertrey's stamp (Cutting Garden, Fabulous Frames, Calendar Basics), dies (Headline Alphabet, Tag Sale #7, Cutting Garden) and inks (hibiscus burst, summer sunrise, simple chartreuse, dark chocolate). 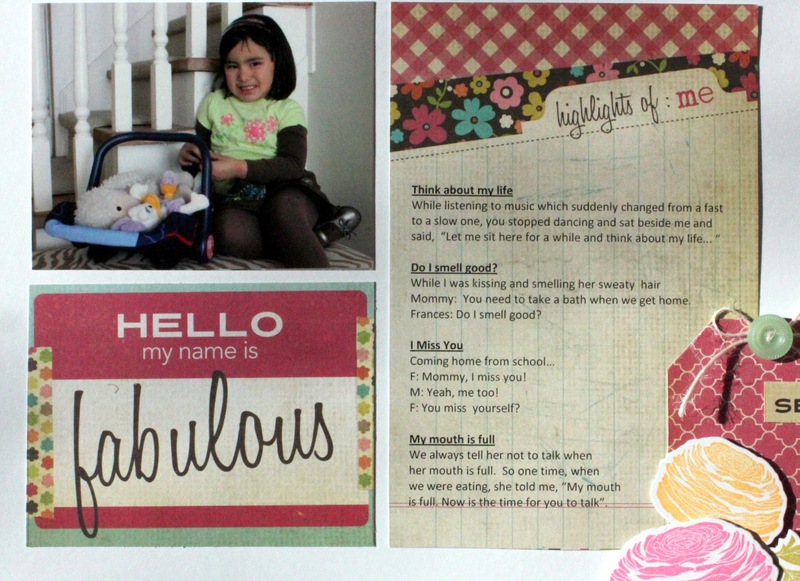 I also used the Fabulous collection from Simple Stories for the patterned papers. I am entering this to Leigh Penner's Pages with Papertrey sketch challenge. Here is her wonderful sketch. I rotated the sketch to fit my photos and journaling needs and added the tag for some interest. ... and my adorable little tag. I am seriously in love with the Cutting Garden set. Such gorgeous flowers! 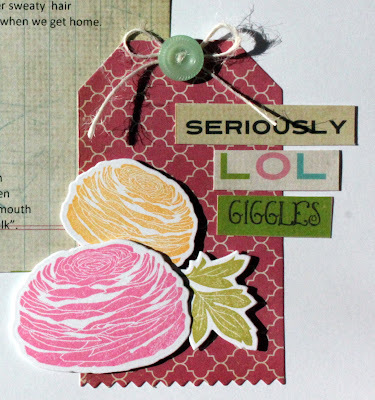 I love how you did the journaling on that index card and the collage of stamps on your tag! 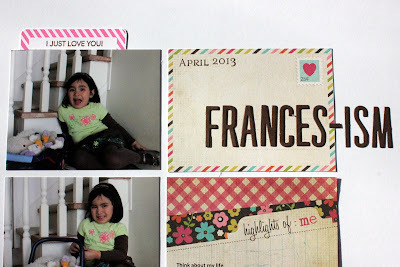 I love that you document the sweet things she says! Love your layout and the concept behind it.